CLICK ON A THUMBNAIL TO VIEW A LARGER IMAGE! (Image opens in same window...Use your "Back" button to return). 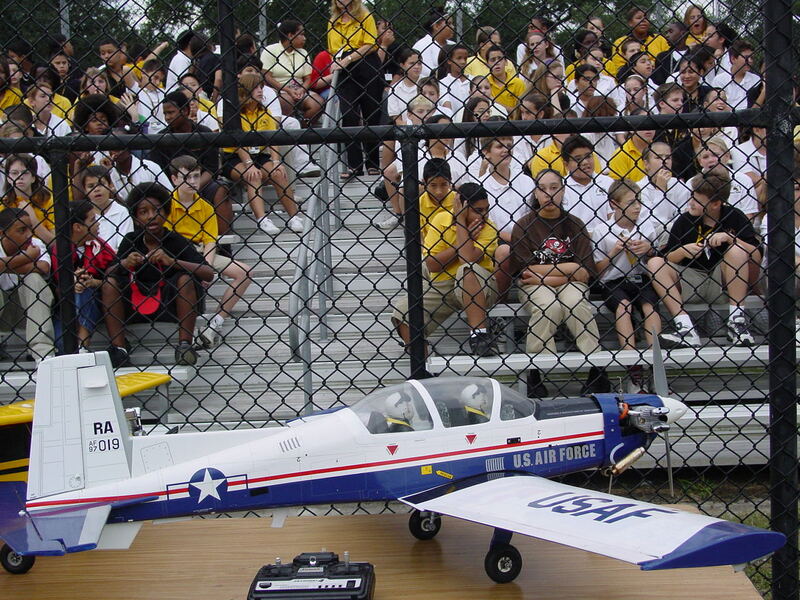 TRAC members, the Cesarios, Lee Hayes, Joe Piccolo, and Wray Williamson, provide a static aircraft display for the Stewart Magnet School's event to raise money to repair their Space Shuttle Bus. 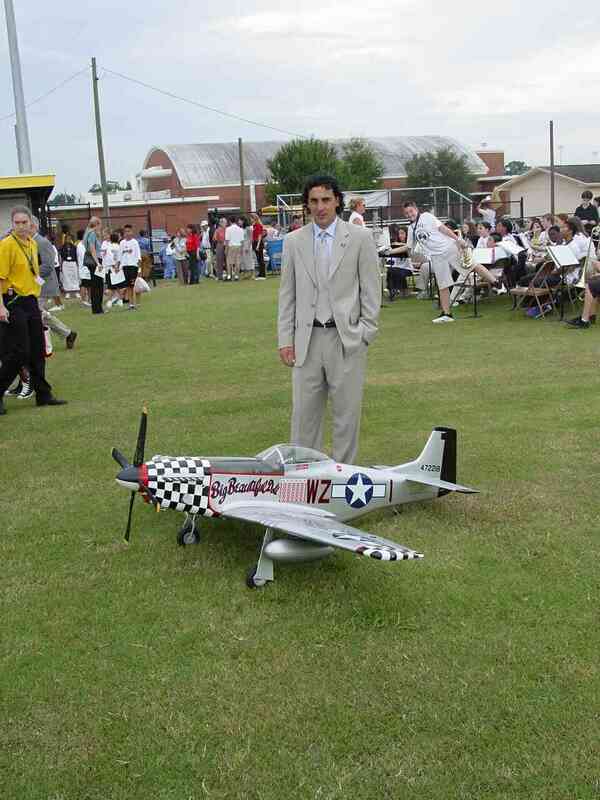 Martin Gramatica, Tampa Bay Buccaneers field goal kicker, was the event celebrity. 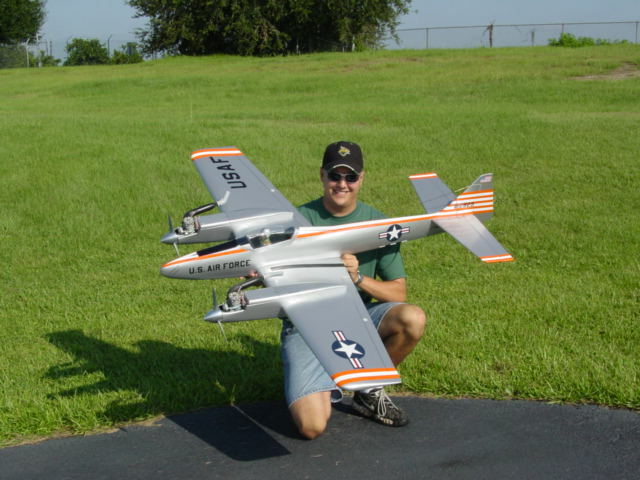 He poses with the Cesario's "Doll". 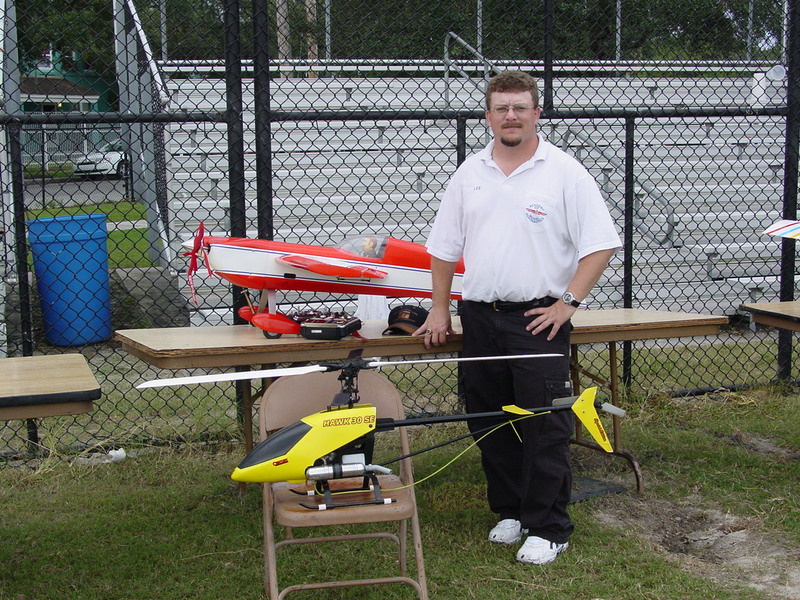 Lee Hayes displays his aircraft, fixed wing and helo. 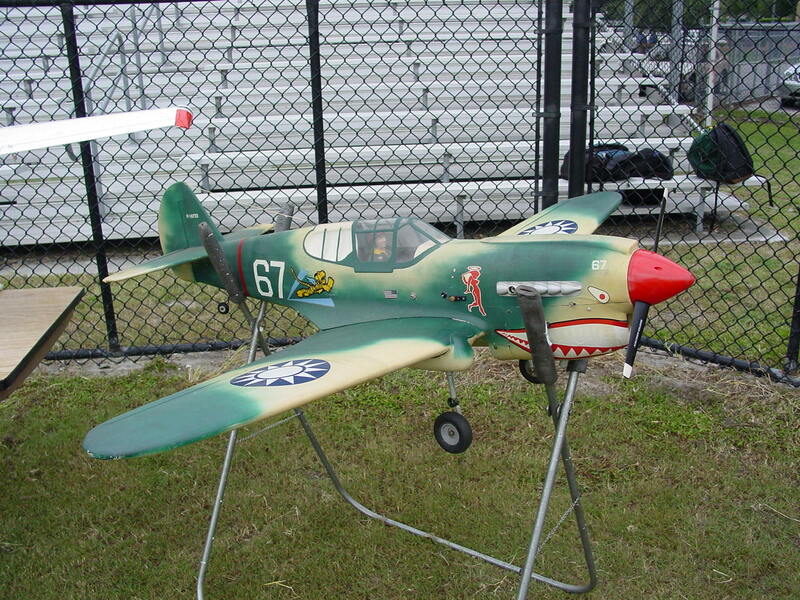 Wray Williamson's P40 was a big hit with the kids. Joe Piccolo brought his trainer. Vince and Vince Jr. show their new DuellistV. 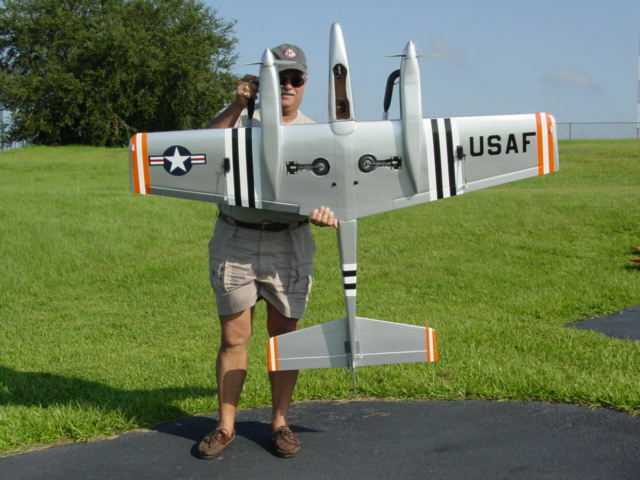 It looks great and they say it flys great as well.